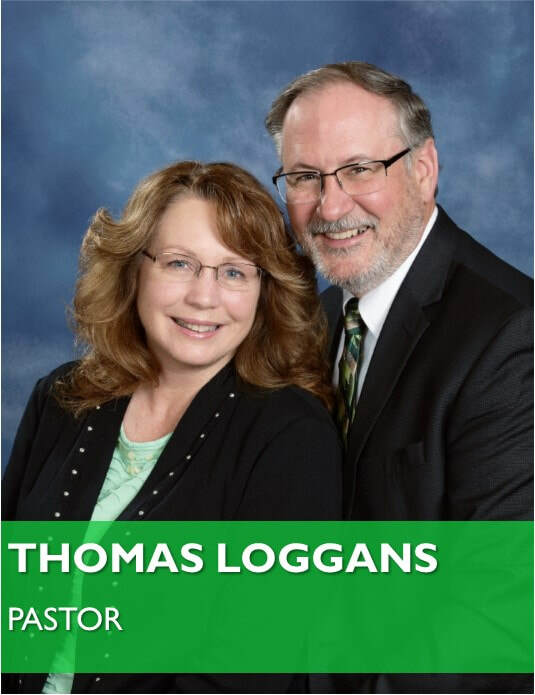 Pastor Tom Loggans has served at Greendale Baptist Church since July 2012 as the assistant pastor. In July 2014 Pastor Loggans accepted the call to become the pastor of Greendale Baptist Church and was installed in August 2014. Pastor Loggans has a heart for people and has been faithfully serving the Lord in full-time ministry for over 20 years. Pastor Loggans graduated from Maranatha Baptist University with a Bachelor's degree in Pastoral Studies. He also has a passion for the outdoors (hunting, fishing, shooting, and camping). Susan Loggans has been on staff as the Greendale Baptist Academy teacher since the Loggans came to Greendale in 2012. She graduated from Maranatha Baptist University with a Bachelor's Degree in Elementary Education. She has over 10 years of experience teaching in Christian schools. She enjoys reading, family time, and loving on her grand-kids. Pastor Matt grew up in Cheyenne, WY. He was saved at a church camp in Colorado when we was 15. At the age of 16 he surrendered to the Lord in the area of full-time Christian service. After graduating from Maranatha Baptist University in 2009 he served as youth pastor in central Illinois for four and a half years. He was called in May 2015 to be the assistant/youth pastor & office manager. Pastor Matt enjoys hunting, fishing, running, and playing/watching any kind of sports. Pastor Matt & Elisabeth were married in 2009 and now have three children. Elisabeth is a homemaker. She has a teaching degree from Maranatha Baptist University and enjoys helping in various aspects of the ministry, including children's ministries and music. She enjoys reading and scrap-booking.